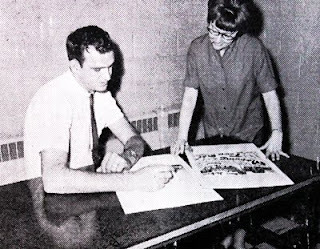 Jerry Dolby and Clara Reida interviewed March 2012. On my most recent trip back home to southern Colorado, Pueblo-based record dealer, and dear friend, Joel Scherzer presented me with an album for my collection – one that would turn out to be probably my favorite find of the weeklong record search. 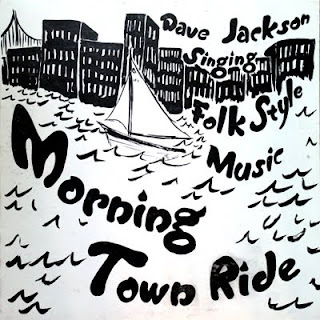 Dave Jackson Singing Folk Style Music - Morning Town Ride (Valerie VR 7000) is a collection of 16 songs of the genre. 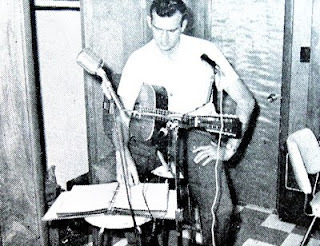 "Many of the songs selected are personal favorites, but there has been no attempt to display any of my own views or personal feelings," he writes on the back cover. Included are Jackson's renditions of songs penned by Donovan ("Colours"), Tom Paxton ("I Wonder Where I'm Bound"), Rod McKuen ("Two-Ten, Six Eighteen"), Pete Seeger ("Turn Turn Turn"), as well as several traditional folk numbers. The LP isn’t produced well. In fact, I dare say there is any production whatsoever to this album. It almost sounds like the recording was made in a closet. But the sad, loner vocals, and the barely audible guitar easily makes the record memorable. Listen to a sample of "Man of Constant Sorrow"
I had to find out who Dave Jackson was. But there were few clues to go on. The album appeared to be a product of the Custer County Independent School District, based out of Westcliffe. The school’s science teacher, Jerry Dolby, is listed as the school sponsor of the recording. According to Dolby, the annual also shows a “Mrs. Dave Jackson” on the faculty, who was the pep club sponsor. The cover art was done by Margaret Locarnini. Attempts to locate Dave Jackson were unsuccessful.